"Open Your Heart" led by Lisa "Mommabear" Garcia. 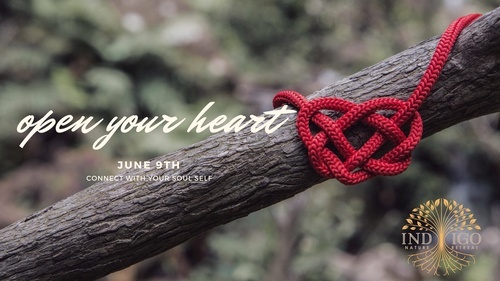 Open your Heart is a retreat dedicated to enabling women to practice self-compassion when facing life challenges. Practicing self-compassion means treating ourselves the way we would treat a friend when things go wrong, treating ourselves with patience and loving kindness vs. allowing the inner-critic to judge, criticize or berate our actions. We will be slowing things down, taking a moment to appreciate and realize the beauty we hold within, and connecting with other women. A program this robust would typically extend beyond $500.